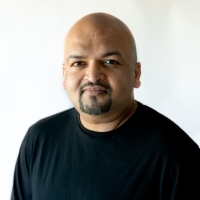 TJ Varghese, Senior Product Manager and Co-Founder of Jamboard, Google TJ Varghese joined Google over 6 years ago and is currently a senior product manager for workspace hardware. As creator of Jamboard , TJ is passionate about building products that include hardware, software and the cloud providing amazing and beautiful experiences to users. With over twenty years of product management experience, TJ has created and managed products that focus on connecting and equiping todays workforce. With a double masters degree, TJ resides in New York City.